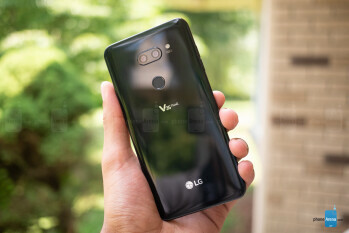 In recent years, LG’s V series has played second fiddle to the company’s G series, typically following major G releases and carrying many of the same marquee features introduced by the G. Recently, though, it seems the V series is starting to cloister the G series with its multiple refreshes and releases. 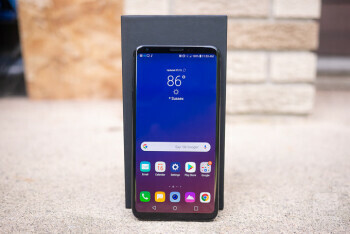 This year the V30S – a slightly ramped up version of the 2017 LG V30 – held the mantle as LG’s first flagship to feature ThinQ AI technology, but only for a brief moment before the LG G7 ThinQ was released. Well here we are at the beginning of summer and yet another V device has been released – this time the V35 ThinQ, yet another refresh as we await the proper V30 successor, the rumored LG V40. While we wait patiently for the V40, we figured we’d give you a full assessment of LG’s latest in the V35 ThinQ to see just where the bar is right now for LG and its current high-end, flagship competition. 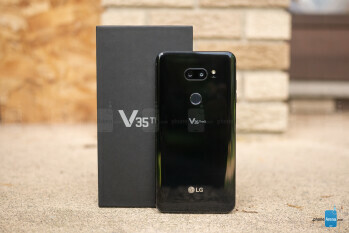 The LG V35 ThinQ predictably looks identical to the V30 and V30S, save for the inscription on the back branding it as the V35 ThinQ. We didn’t expect much in the way of design changes, nor were we longing for them; the V35 ThinQ is a light, sleek, solid-feeling device, and the notch-less display is an aesthetic for which we’re still grateful. Offered in either Aurora Black or Platinum Grey, color selection isn’t as wide-ranging as the G7 ThinQ, for instance, but for a mid-level upgrade, we certainly won’t be complaining. The colors look good and the V35 ThinQ, even as a near-clone of 2017’s V30, still holds its own as one of the better-looking, high-end devices with its slim bezels and notch-less face. Speaking of that face, the V35 ThinQ fits a gorgeous 6-inch, OLED display which produces vivid, accurate colors and sharp detail at a resolution of 2880 x 1440. This HDR10-capable display is a bit warmer than the V30’s, which helps to mitigate OLED display’s tendencies to come off cold, and overall makes this display very accurate in its portrayal of colors – viewing angles are solid, as well. In the bright of the day or shadows of the night you’ll be able to see this display in all of its might. Making 537 ppi with a minimum brightness of 4 nits and maximum reaching 445, you’ll not want for much when looking at this phone. LG’s take on Android has typically been a slightly more fun, yet still efficient one. This continues to be the case with the Android 8.0-flavored interface on the LG V35 ThinQ. 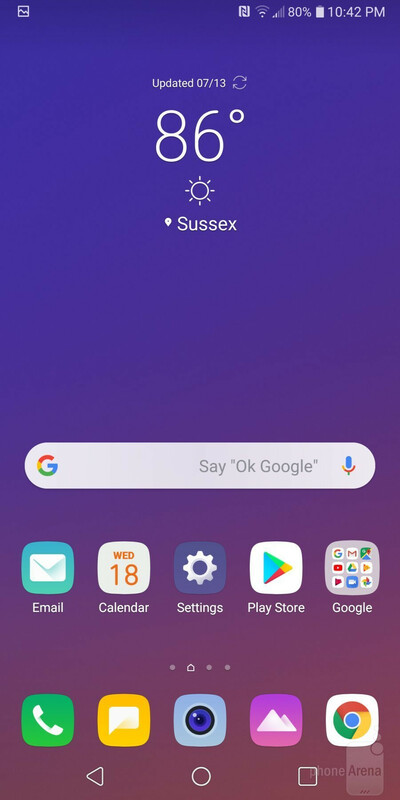 In terms of aesthetics, the UI utilizes pastel colors and rounded box iconography which has become more uniform and LG UX-specific. All looks good on this front, as the UI avoids an appearance that comes off too cartoon-ish and retains some bit of style. Functionality doesn’t disappoint either. Swiping left on the homescreen brings you to Google’s news feed, swiping up opens the app drawer, and swiping down enters all device search with some recent app shortcuts you can utilize, as well. All of this is as intuitive as can be and avoids confusing extra gestures and menus. Tapping into the settings does let you tweak a few things, though. Features like the always-on display and floating bar can be enabled for some more functionality. The floating bar is as useful as ever, enabling shortcuts to apps, contacts, music playback, and even actions like creating a new calendar event – all from the tap of an unobtrusive little floating arrow. The settings app has been further refined to include an “extensions” menu where you’ll find features like the floating bar, as well as Context Awareness, which can set up functions like turning off Wi-Fi when you leave the house, or opening a specific app when headphones are plugged in; shortcut keys, which enables functions like launching the camera app from the lockscreen but double clicking the volume down button; and our personal favorite, KnockON, which sets the screen to be turned off or on by double tapping anywhere on the homescreen – a particularly convenient feature for large-screen phones such as this one. All of this is simple to use and easy to find, especially with the comprehensive search function found within the settings menu which finds matching results for your query within not just the functions but the descriptions of them, as well – another small, but important aspect for which we’re quite grateful. LG doesn’t provide a “related settings” section of results like Samsung’s do, though, which contextually catches on well to queries, usually offering just what you’re looking for without forcing you to get the name exactly right. 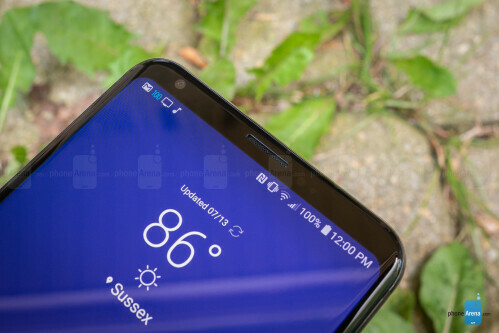 Just as the V30S ramped things up a bit from the V30 by jumping from four gigs of RAM to six, the LG V35 ThinQ one-ups the V30S by swapping out last year’s Snapdragon 835 for the latest SD845. We never had any complaints on either of these previous V iterations, and six gigs of RAM paired with a Snapdragon 845 does nothing but melt our hearts further with its blazing performance. Apps launch instantly and transitions through the OS flow like water; this is one buttery smooth operator. 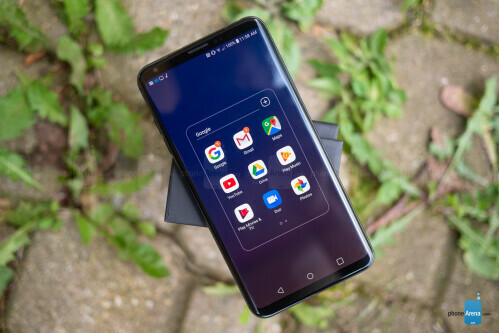 Intensive tasks like gaming, GPS navigation, flipping through videos, and all the back-and-forth in between prove this _phone_ to be up to any task and on par or above with any high-end Android flagship out. 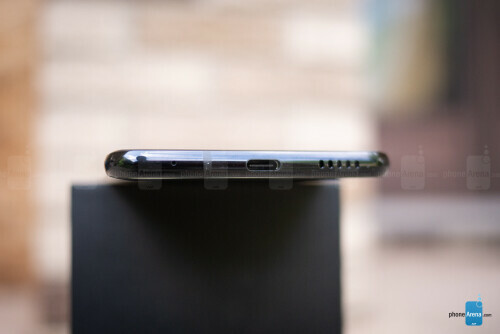 In terms of storage you’ll find only a 64 GB option, but the microSD card slot does allow for a considerable expansion. Linking up the V35 ThinQ with the major U.S. carriers (Sprint, T-Mobile, AT&T, and Verizon) will be no issue for the unlocked device – you can even get one hooked up with Google’s Project Fi service – which is music to ears across the country, including ours. Otherwise you have your standard dual-band Wi-Fi, NFC, and Bluetooth 5.0 on the V35 ThinQ. 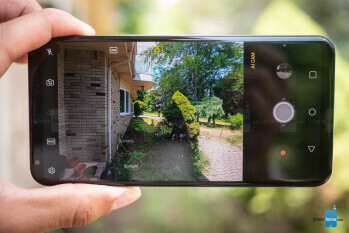 The LG V35 ThinQ sticks with pairing a regular lens with a secondary wide-angle for its dual-camera setup, but this time around both sensors are 16 megapixels, as opposed to the 16 + 13 configuration on V30 and V30S. 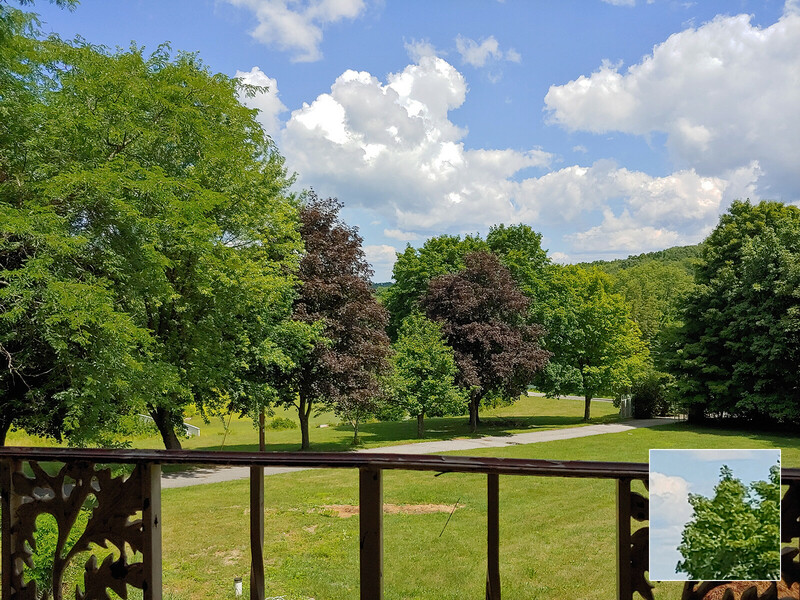 Images taken on the V35 ThinQ are quite impressive. 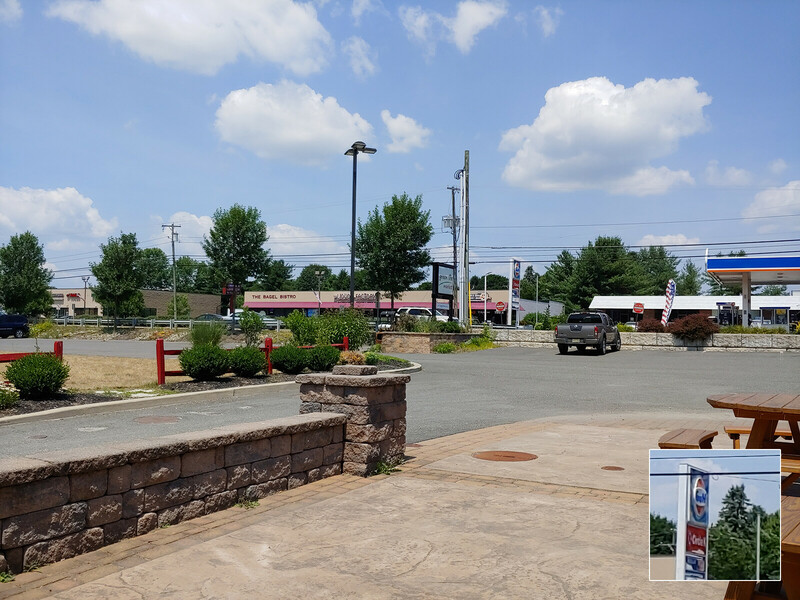 Colors are mostly very accurate but, in some instances, can lack a bit of contrast when compared to cameras on other high-end phones. Still, images produced will be very pleasing and well-detailed. 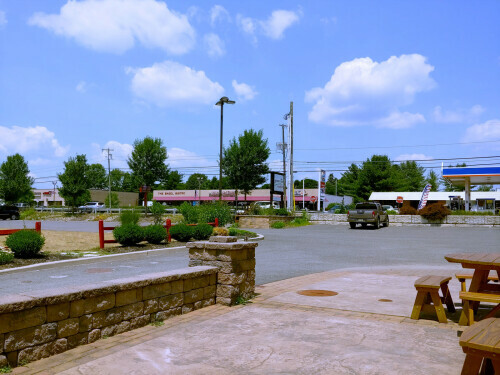 Exposure also seems to do a commendable job in bright light and in low, though areas in some brighter sceneries can err on the side of over-exposure. The “AI Camera” is where LG’s ThinQ technology makes its biggest effort, however, the actual impact of this image processing is rather subjective. 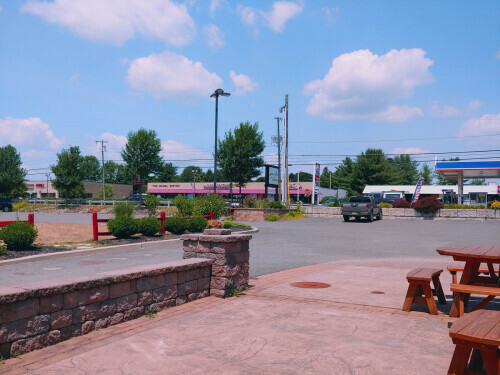 Tapping the AI button within the camera interface immediately puts the camera into a mode where it attempts to detect scenery, and the objects within, in an attempt to recognize and apply tailored adjustments in color and exposure to the shot. 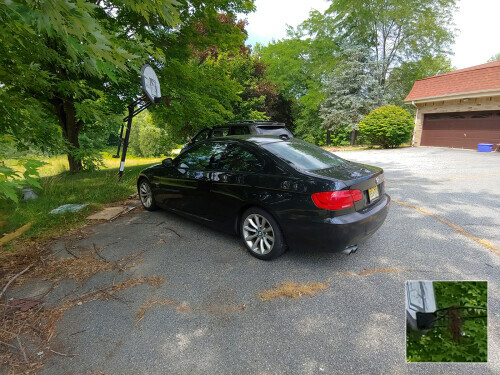 Once an object or scene is recognized, the V35 ThinQ automatically attempts to process the picture so it looks as good as possible. It's not 'realistic', but may sometimes yield likable results. 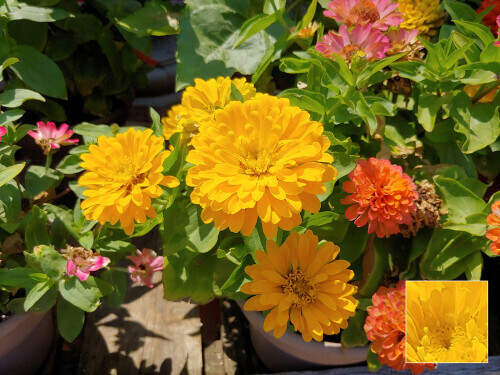 Bundled with this AI processing are three additional color effects, which can further change the look and feel of your photo by altering colors in a more significant way. These can be considered more 'artistic' type effects that will mostly serve to enhance images in more niche scenarios. Regardless, we can see good use for these filter options, as in a fair amount of cases having these options could truly aid in capturing a shot more to your liking in terms of color, exposure, and overall composition. 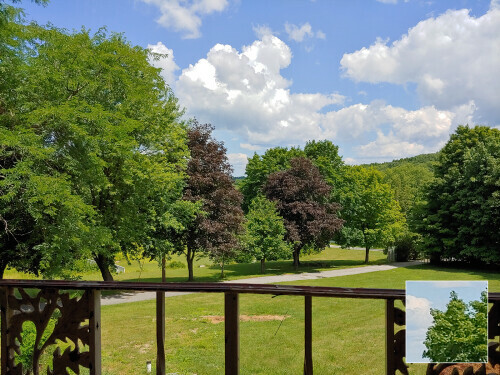 Generally, though, we’d say that the majority of photos captured without any AI effect, but rather with just some good, old-fashioned auto-HDR, had the best image compositions with the most accurate colors. There is more good news, though, for those who like having deeper creative control over the pictures taken on their phones. Of course, you have manual control mode for photo capture, but within this you’ll also find integration with the real-time-image-adjustment app Graphy. First introduced in the LG V30, this feature allows users to tweak camera settings in real-time (ISO, shutter speed, white balance, etc.) via preset values taken from scenes shot by other photographers in particular situations. This is yet another potentially useful tool to not only inject some artistic expression into the photos you capture, but also give you the best opportunity to properly capture the scene as you see it. Just as is the case with the AI camera, we find that in the majority instances the V35 ThinQ’s automatic camera settings do the best work for the job with most scenes – a solid testament to its algorithms and abilities – but there are certainly times when the AI camera’s filter, or even Graphy’s preset settings capture what the automatic settings were missing, technically, and artistically. 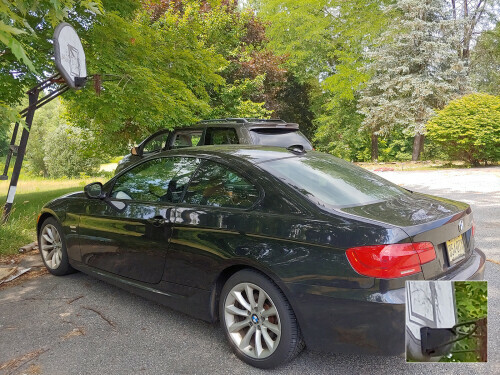 Wide-angle photography on this 16-MP sensor is, for the most part, just as adept with image capture as the 16-MP main sensor. Predictably, though, lower-light scenes betray this sensors tendency to capture noisier photos in such situations. Selfies look good on the V35 ThinQ, and it’s not just because of our beautiful subject. Exposure predictably isn’t as adept on this 8-MP shooter, but details looks good and beauty modes do a nice job of smoothing over imperfections. Portrait mode on the front-facer actually pulls of some decent results too, even without the use of a secondary camera. For the most part, the bokeh background keeps to itself without troubling the handsome subject, and a decent blur is achieved, even in tougher, more dynamic lighting situations. Videos shot on the V35 ThinQ are well detailed and motion is generally well-mitigated – OIS and EIS make their presence known here, especially when zooming and moving slowly. Colors are slightly more punched-up than we’d like, but not to the point of being jarring to look at. As is the case with photography, LG’s focused on delivering the user as much creative control as possible with the V35’s video capture. Offering manual controls for video recording is already a solid step above the rest, but Cine Video improves on this further. When recording in this mode, a suite of filters is available to add a pastiche to your footage. These include filters for a horror film effect (bleak and dreary), romantic (bright and punched up), black and white, and more. These can be fun to create with and add a playful or even professional-esque quality to your films. You also have LG’s Point and Zoom function, which bolsters this creativity by enabling users to tap on a part of the screen and initiate a zoom directly into the area which was tapped. You even have the ability to adjust the left and right balance of audio recording within the manual controls. These features work well, and Cine Effects combined with manual controls altogether make video capture a fun, intuitive, and creative process on this unit which is unparalleled in terms of its feature set. Calls on the V35 ThinQ come through well; earpiece and speakerphone volume are both more than sufficient. Callers heard us without issue on the other end, as well, which, although expected, is always a relief. Media consumption with the V35 ThinQ is another fun, feature-rich area. Here you’ll find options like the HDR video effect, which ups the vibrancy on regular videos in most apps, as well as tools to tweak music on the device with pitch and speed controls – something we had quite some fun with. Speaking of which, the on-board quad-DAC adds more customizability with an in-depth equalizer, among a few other settings, to tailor your listening experience when headphones are plugged in. 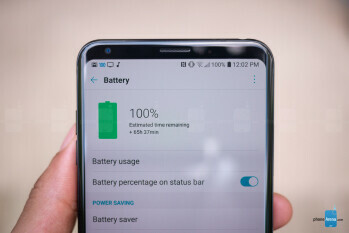 Handing in a decent seven hours in our custom battery drain test, the LG V35 ThinQ performs pretty much right on par with our real-world use; it’s not going to last two full days, but should easily last through one, even with heavy usage. Recharge times with LG’s Fast Charger were also pleasing, taking exactly an hour and 40 minutes to recharge from 0 – 100. The LG V35 ThinQ is a very good phone, but it doesn’t move the needle much in terms of ground-breaking features. Improving incrementally on areas like the display, UI, and camera the V35 ThinQ progresses an already solid software formula a bit further and adds the latest and greatest in processing – it’s really a recipe that’s hard to mess up. 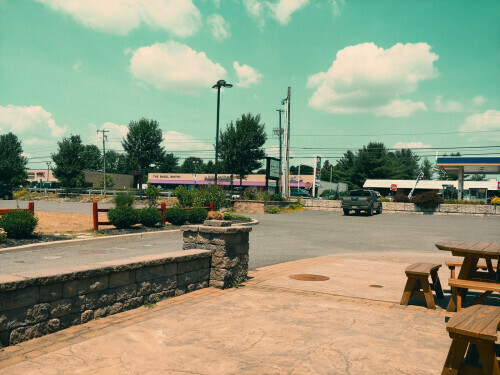 While the AI camera, in the end, proves to be little more than a tool for artistic expression, it’s still a cool one to have, on a device that makes this aspect of phones paramount. The question now becomes: Is this refresh worth the $900 price tag? Well, that’s complicated, but Google Fi’s offer for a $300 bill credit certainly sweetens the deal. With market-watchers anticipating the release of the LG V40 just around the corner, though, it’s hard to recommend pulling the trigger on this device if you’re a fan, considering that a better version is anticipated before the fall. 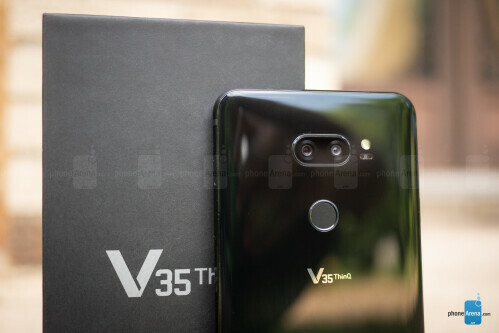 Still, for all that the V35 ThinQ gets right, this could be a _phone_ you’ll be happy to have for quite some time – yes, even past the launch of an LG V40.